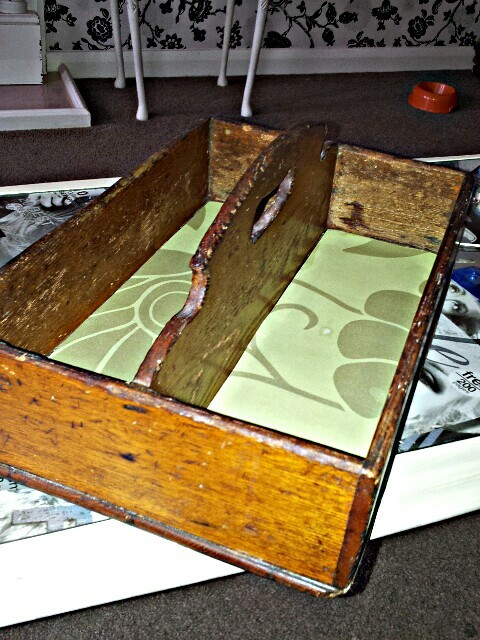 GIFT: My mum gave me her old cutlery holder. 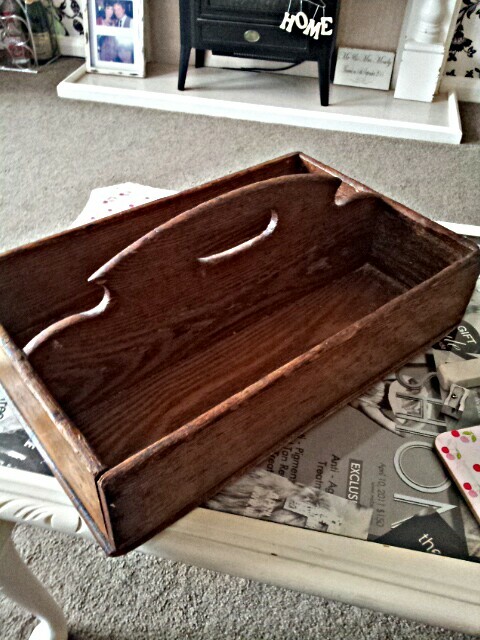 A couple of weeks ago my Mum gave me her old cutlery holder for revamping should I want to because she knew I was looking for something to put our cutlery in in the conservatory now I have revamped an old TV unit into a cupboard to keep the dining stuff in. Because we have people over for dinner quite a lot and like to eat out in the conservatory ourselves it made sense to have the stuff we need and use each time out there rather than in the kitchen. 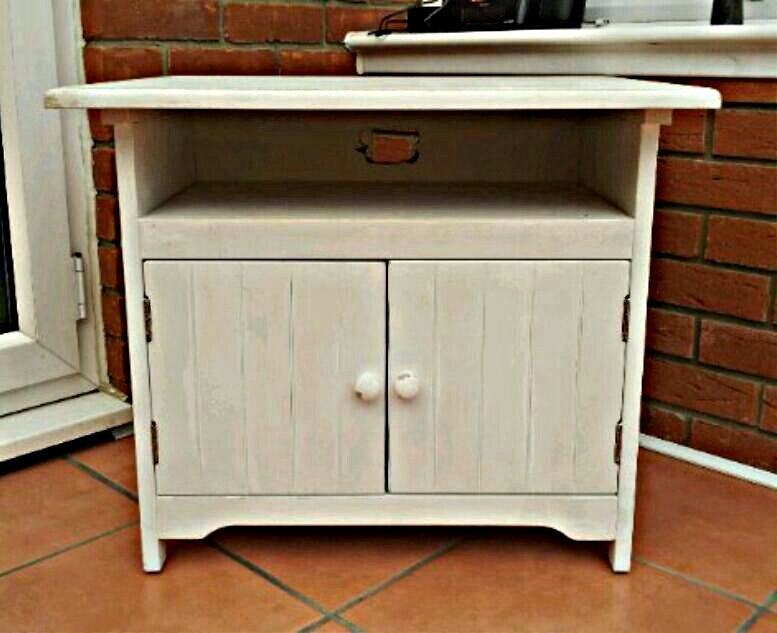 BEFORE: TV Unit I bought off of Ebay for £20. My mum gave me some wallpaper they had leftover from having their dining room decorated a couple of months ago which I put in the back of the TV unit to cover over the hole that was there for the wires etc so it wasn't obvious what it used to be. I went over the outline of the flowers on the wallpaper so they stood out a bit more, I was very pleased with how it turned out! The only thing I am slightly miffed with is because I did it late at night ( I was eager) and was a bit tired I cut it slightly too short down one side but because the height of the unit is very short it isn't at eye level so realistically it won't be seen very often. That is what I had to keep telling myself so I didn't feel too annoyed about it! AFTER: No longer a TV unit thanks to leftover wallpaper. I wasn't sure what I wanted to do colour wise with the cutlery holder and really liked it the wood colour it already was so after much thought decided to keep it that colour. Once again, just to add my own little touch to it I lined it with wallpaper only this time didn't outline the floral pattern opting to keep it subtle. I was very pleased with the results! 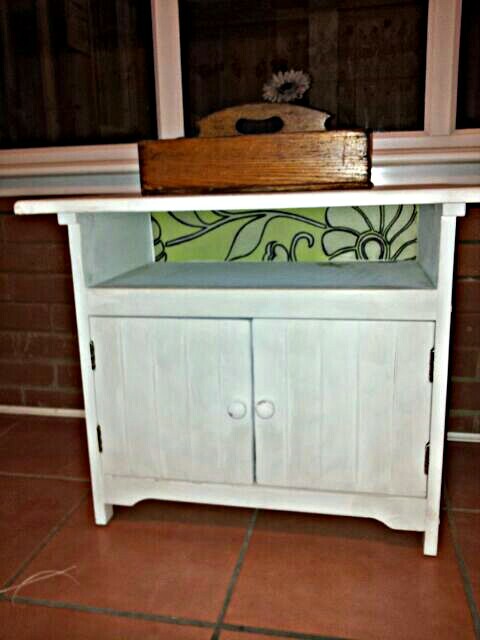 I think it looks nice on top of the white cupboard because it has been kept it's original colour. 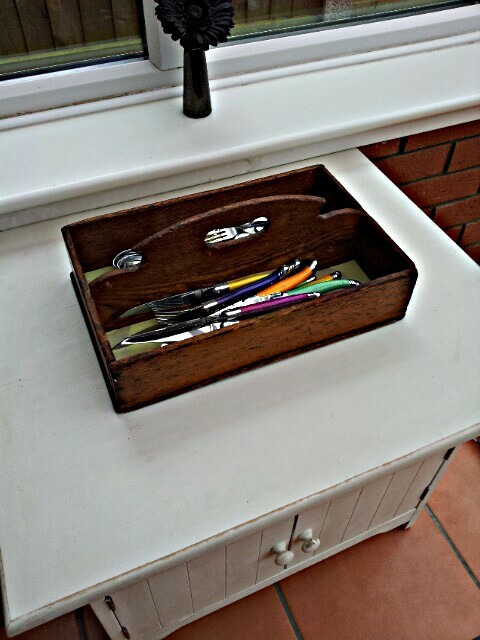 I like mismatching bits and bobs and so the dark colour of the cutlery holder offsets the white unit nicely.